I was looking through some books recently and the flyer photographed below was used as a bookmark by my Dad, when he was a student at the University of Lincoln in the early 2000s. I knew that Lincoln’s Student Union was once a co-operative, but had never seen any documentary evidence of that period in its history. When I’ve asked people about the early history of the Union, the response has been vague – I may be asking the wrong people. I was told it was set up as a co-op to meet the obligations of funding between Lincolnshire Co-operative Society and the University during its formation. If you look at the third image below, you can see that a student joined the LSU co-op through the Lincoln(shire?) 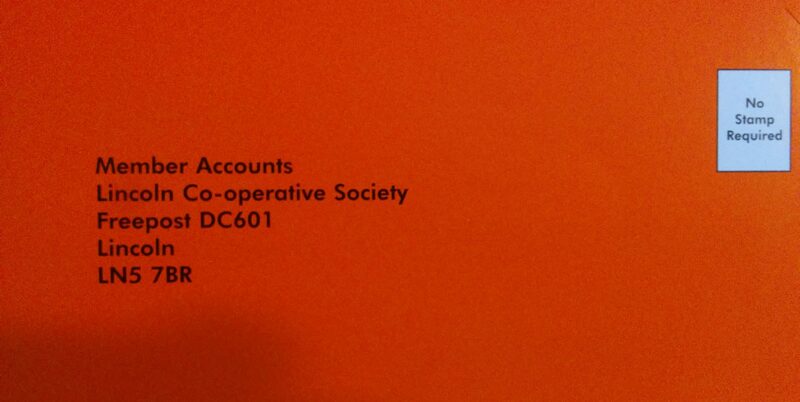 Co-operative Society – presumably the SU was part of the Lincolnshire Co-operative Society?? It was also suggested to me that it ceased to be a co-op because of changes in charity law in 2006 that caused a conflict between its charitable and co-operative status. Co-operatives are not deemed charities because they are for the benefit of their members, rather than having broader public benefit aims. Looking at Companies House records, the SU was first incorporated as a Company Limited by Guarantee on 27th June 2007 and referred to as ‘the Charity’, so not long after the change in Charity law in 2006. A note in 2009 explains that it originally derived its charitable status from the University but again due to changes in law, would have to register in its own right as a charity. The articles of association were then changed in 2010, when all reference to ‘the Charity’ is replaced with ‘the Union’ and it became independently registered as a charity on 27th September 2010, apart from its registration as a company. 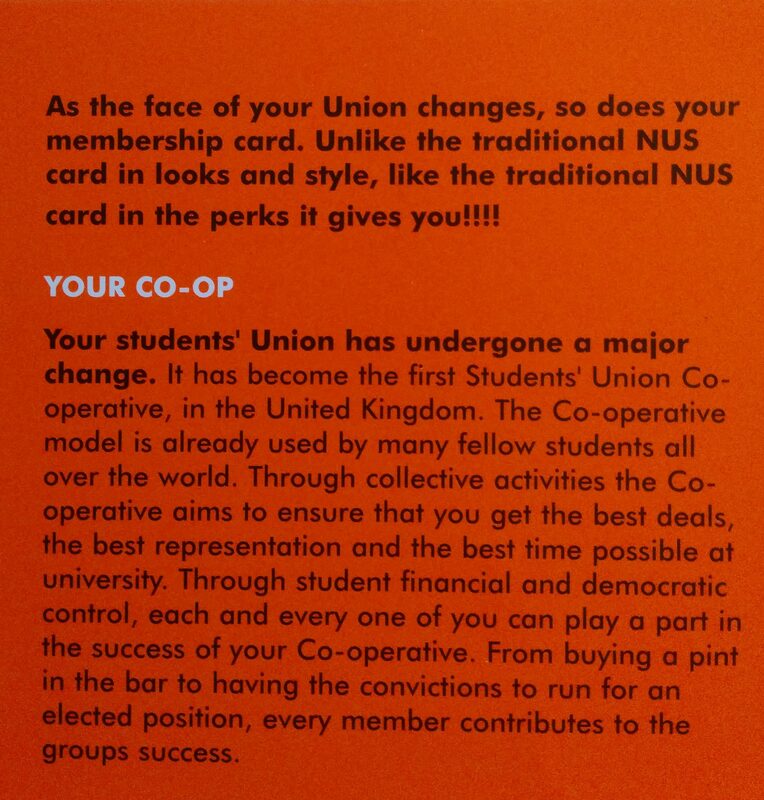 Anyway, my interest is in the early days of the SU when it ran as a co-operative. All organisations are subject to changes in law and regulation and I’m sure that the shift away from co-operative status in 2007 was deemed the right and possibly the only choice available to the SU. It raises the question about whether more recent changes in UK co-operative law (2014) and the emergence of Union Co-ops, offers a return to co-operative status. Aside from legal status, a co-operative is characterised by its adherence to the values and principles of the international Co-operative Identity Statement. Changes in the articles of association could be made to reflect the spirit of co-operative values and principles, even if it were not a co-operative in law. As a democratic organisation, this would be something for its members to decide upon. If you have any further information about the period when ULSU was a co-op, please do get in touch.